Acerola and lemon, yum yum. It’s so delicious that stars will come out of your mouth. When I first came to Japan, I had no idea what an acerola was. Now, thanks to drinking plenty of acerola juice, and also thanks to Wikipedia, I know. This is an acerola plant- it’s a tropical plant native to the West Indies and northern South America, possibly originating in the Yucatan. It is also called the ‘Barbados cherry’ or ‘Wild Crapemyrtle’. The fruit is bright red, and contains so much Vitamin C that a company in the 50’s claimed that just one drop of acerola juice had more Vitamin C than a whole orange. Respect. This drink from Meiji has quite a light acerola taste, the sour tang not nearly as strong as other acerola products I’ve had. In fact it tastes a little watered down, which is a shame because what taste there is is refreshing. It just needs a little more oomph. There’s 10% actual acerola/lemon juice in this drink- but I’m left wanting more. Meiji- juice it up, fellas! 3/5. I drank this a lot last summer. It’s only a seasonal drink, unfortunately. I’d like to drink it year round. 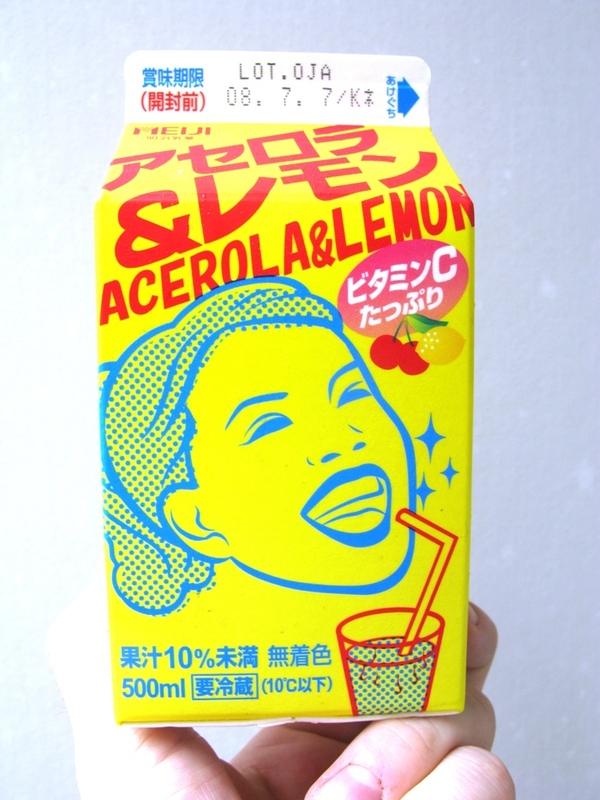 I’m comparing it to the straight-up acerola juice the conveni’s near me sometimes carry. That stuff is potent, very sugary, very tang-y. So anything short of that I suppose would taste watered down. They had this same product last summer?